Fake Food: That's Not Kobe Beef You're Eating From steaks to sliders, Kobe beef seems to be popping up on menus nationwide. No matter what form it takes, though, it's not actually Kobe beef. Here's how you've been fooled. Is that real Kobe beef? If you're eating it in the United States, then it's not. 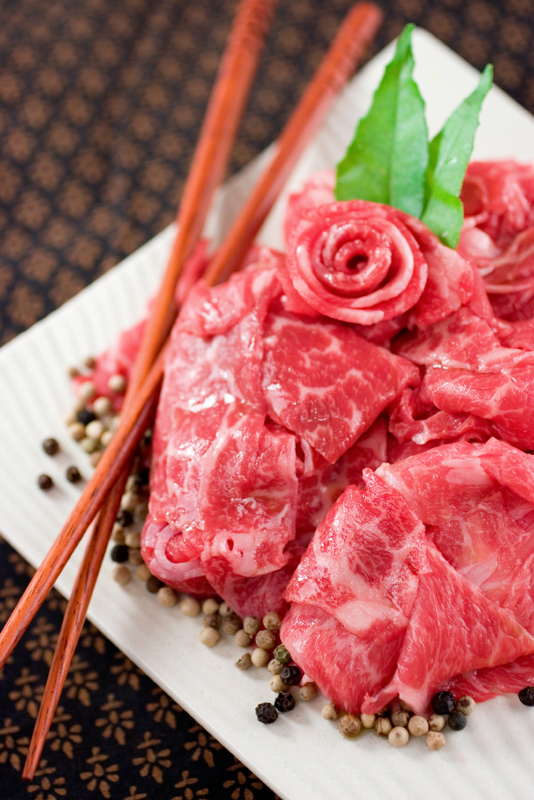 An increasing number of restaurants in the U.S. display signature dishes made with Kobe beef. From Kobe steak raviolis to Kobe beef burgers, you name it, Kobe beef seems to be popping up everywhere — except it's not Kobe beef. Food writer Larry Olmsted of Forbes.com couldn't help but notice the trend and decided to bust everyone's bubble in a three-part expose of the so-called domestic Kobe beef industry. What we've thought was Kobe beef was most likely U.S.-raised beef, Olmsted tells weekends on All Things Considered host Guy Raz, not the expensive delicacy raised in Japan. "You can guarantee that it was not real Kobe beef because real Kobe beef from Japan is not imported in the United States at all," he says. Under Japanese law, real Kobe beef actually comes from a particular breed of cow known as Tajima. "Most importantly," Olmsted says, "they have to be slaughtered in Hyogo prefecture where none of the slaughter houses are approved by the USDA for export," he tells Raz. So, how is it possible that Kobe beef is advertised all across the U.S.? While Kobe cattlemen in Japan have both patent and trademarks on the different terminology for Kobe beef, U.S. law does not recognize or protect these trademarks. "So, we can call pretty much anything we want Kobe," Olmsted says. "The Department of Agriculture cares that when you call something beef, it's beef, and that's about it."